A NASA scientist has claimed intelligent alien life may have already visited Earth, and we simply did not notice their presence. Silvano P. Colombano, who works for NASA, says the extraterrestrial tourists would have looked hugely different to any of the current life on Earth. Earth is currently dominated by carbon-based organisms but , he says, alien visitors would likely bear no resemblance to anything on our planet due to the different world they originate from. NASA is currently helping to fund the search for alien life via the ‘Search for extraterrestrial intelligence’ (SETI) which scans the universe for signs of civilisations. Dr Colombano believes it is possible this hypothetical population of aliens are so advanced they have mastered space-travel and have technology we cannot even comprehend or imagine. He has also claimed current ideas regarding aliens are too narrow and has implored experts and the public to open their minds to the possibility. Silvano P. Colombano, who works in NASA’s Intelligent Systems Division, believes we could have missed alien life,as it could be very different from the traditional carbon based life humanity is used to. Pictured, a classic ‘flying saucer. ‘I simply want to point out the fact that the intelligence we might find and that might choose to find us (if it hasn’t already) might not be at all be produced by carbon based organisms like us,’ Colombano wrote in a study. His paper was first presented at a ‘Decoding Alien Intelligence Workshop’ in March, which was organised by SETI. He believes that alien life may have gone far beyond human technology, and may even have mastered interstellar travel. ‘We need to re-visit even our most cherished assumptions,’ he wrote. ‘How might that change the above assumptions about interstellar travel?’ he wrote. As we can not imagine or comprehend what this would look like, it would be easy for humans to miss signs of civilisations on other planets, he postulated. 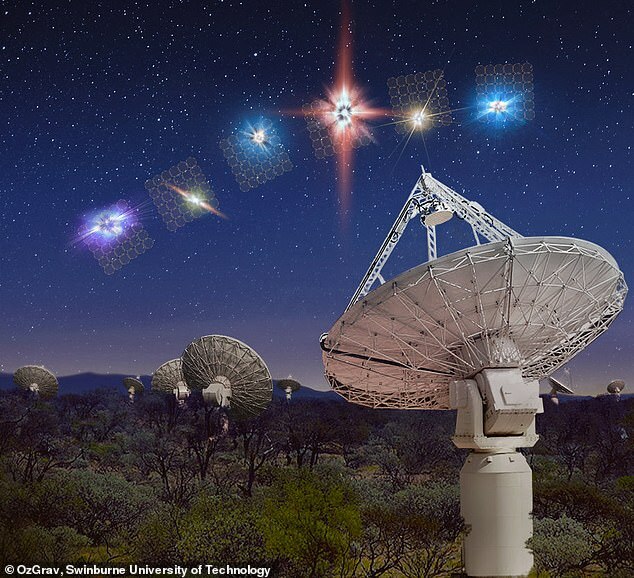 A pair of Australian radio telescopes pointed at the same spot in the sky have revealed new clues on the nature of mysterious signals known as fast radio bursts. The ASKAP managed to detect several fast radio bursts during its observation (artist’s impression). However, one expert warned that radio waves could be out of date. He also warned that radio waves, could be out of date. He called for physicists to take part in ‘speculative physics’, grounded in our most solid theories but ‘with some willingness to stretch possibilities as to the nature of space-time and energy’ and to ‘consider the UFO phenomenon worthy of study’. 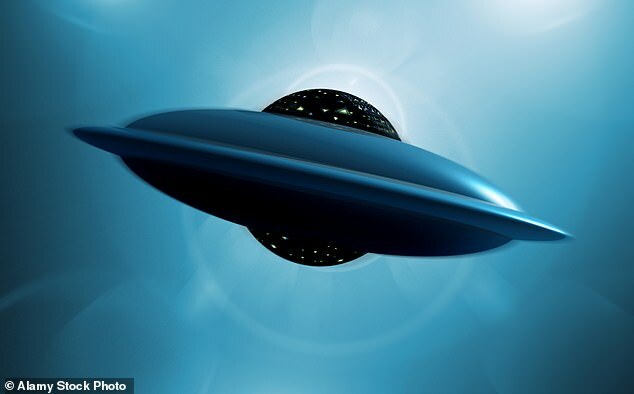 The space expert also claimed not every UFO sighting can be ‘explained or denied’. The first FRB was spotted, or rather ‘heard’ by radio telescopes, back in 2001 but wasn’t discovered until 2007 when scientists were analysing archival data. But it was so temporary and seemingly random that it took years for astronomers to agree it wasn’t a glitch in one of the telescope’s instruments. 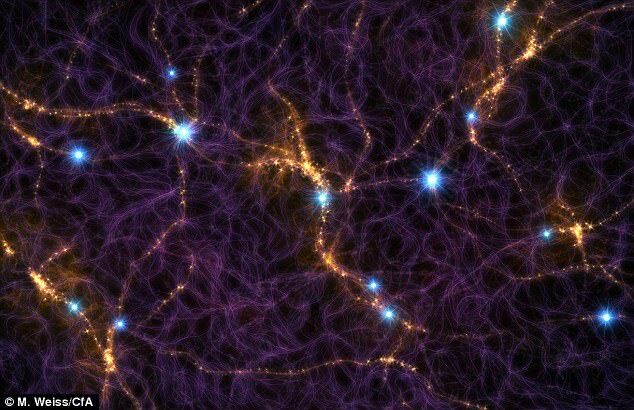 FRBs can also be used to trace what broke down the ‘fog’ of hydrogen atoms that pervaded the early universe into free electrons and protons, when temperatures cooled down after the Big Bang.